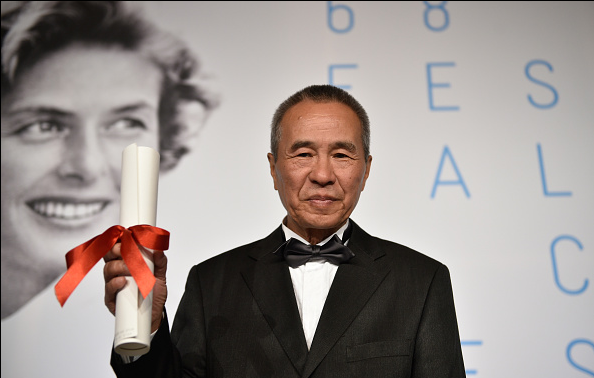 Taiwanese director Hou Hsiao-hsien (侯孝賢) has been awarded Best Director at this year’s Cannes Film Festival for his martial arts film The Assassin (聶隱娘). This makes Hou, a prominent figure in Taiwan’s New Wave Cinema movement, the second Taiwanese director to have received the award at Cannes, after the late Edward Yang (楊德昌) won in 2000 for Yi Yi (一一) . Hou’s first martial-arts epic is set in ninth-century China and reunites stars Shu Qi (舒淇) and Chang Chen (張震), who previously co-starred in Hou’s film Three Times (最好的時光). The film follows a general’s daughter named Nie Yinniang, who is abducted by a nun as a child and trained to become an assassin. In his acceptance speech, Hou said through an interpreter that it was a great encouragement for him to win Best Director and thanked the cast and crew. This is Hou’s seventh time at Cannes; he won the jury prize for The Puppetmaster (戲夢人生) in 1993. At the festival, Jacques Audiard’s Dheepan took home the Palme d’Or, the festival’s biggest prize, and the second biggest award—the Grand Prix—went to László Nemes’ Son of Saul. The winner of the Best Director Award rarely wins the Palme d’Or. Yorgos Lanthimos’ The Lobster won the Jury Prize. For her role in Carol, a lesbian love story co-starring Cate Blanchett, Rooney Mara was awarded Best Actress, which she shared with Emmanuelle Bercot for Bercot’s performance in Mon Roi. Vincent Lindon received the Best Actor Award for his role in The Measure of a Man, and Best Screenplay went to Michel Franco for Chronic.